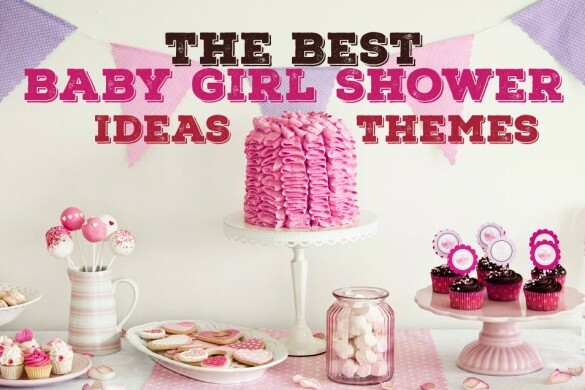 The Great Baby Shower Idea guide will help you with hosting the best baby shower ever! Included below are tons ideas for invitations, theme ideas, food ideas, favors, and proper etiquette. I want to equip you with the best ideas, so you can throw an amazing celebration that is fun and impresses your guests. You can use these ideas as-is or change them by adding your own personal style and flare. How did Baby Showers Originate? Why do we throw baby showers anyway? 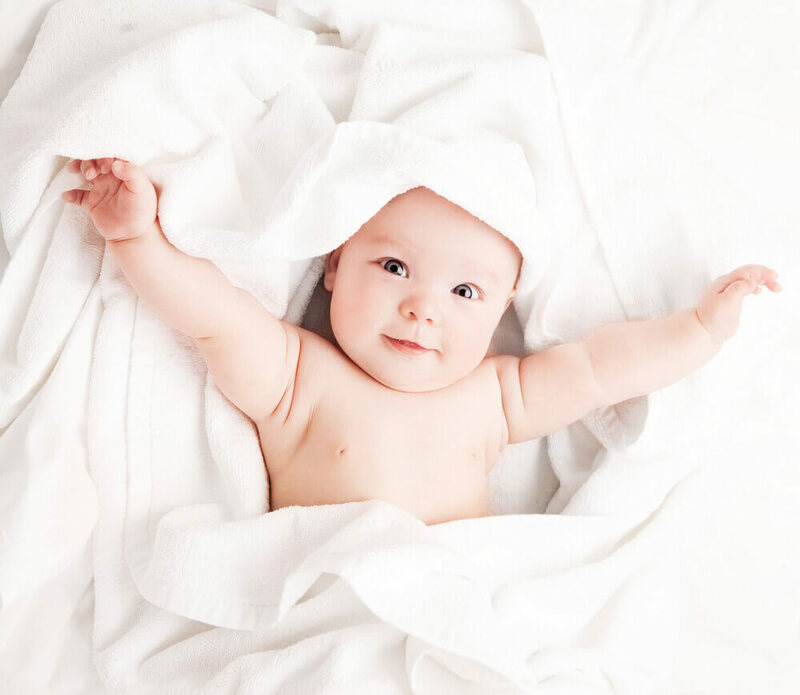 The concept of a baby shower was first born in the late 1800s. In this era, showers would be given after the baby was born. After all, it was not considered appropriate for a pregnant woman to be seen in public. Victorian ladies would gather around a new mother and shower her with handmade gifts and trinkets. But yet times have changed. 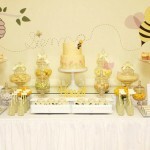 You can now choose from many elaborate themes for your Baby shower. You don’t have to invite only women. It’s now common to invite boyfriends, girlfriends, husbands, kids, in-laws, co-workers, and pets. 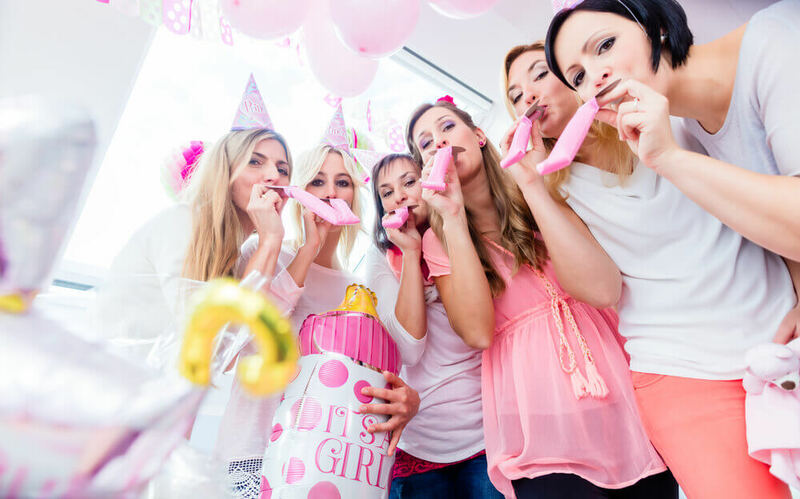 Modern baby showers are be held in homes, hotels, gardens, backyards, beaches, restaurants, billiard rooms, and even bowling alleys! They may be in the form of cocktail parties, BBQs, or sporting events. Usually, a woman would be in charge of hosting the event, but now men can host them as well. 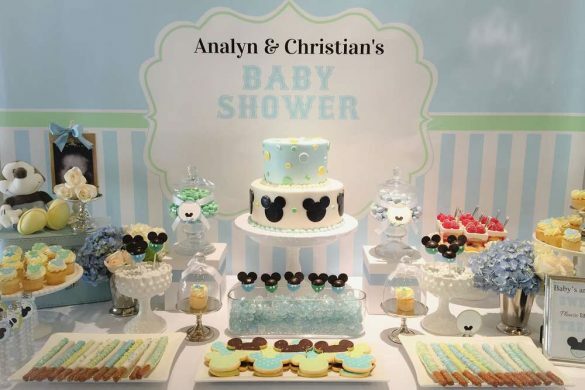 Modern baby showers do not have the restrictions of the bygone era. 21st-century baby shower invitations have also come a long way. The traditional invites protruding with pink bunnies, blue rattles, and yellow duckies are out. Laser-cut invites with custom graphics and embellishments are in. E-invitations are getting more popular for letting people know about the shower. Plus e-invitations are cheaper and more ecological than paper invitations. The world of baby shower gifts has changed too! Handmade blankets and sweaters are still great shower gifts. However, it is now common to give jogging strollers, baby juicers, baby monitors, bedding, cribs, pee-pee tepees, and kangaroo pouches. 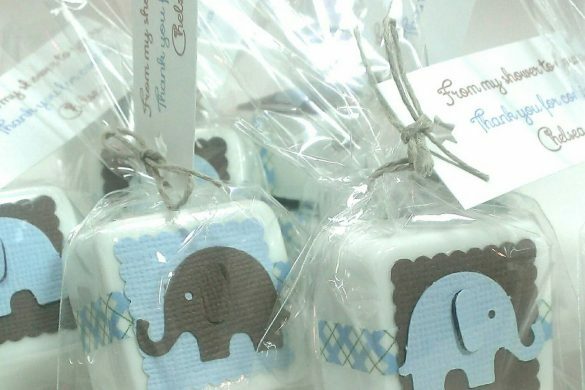 The world of baby shower gifts is now a multi-million dollar industry! You can even use department store gift registries to ensure you get the gifts you want from your shower. There are also online registries like myregistery.com. 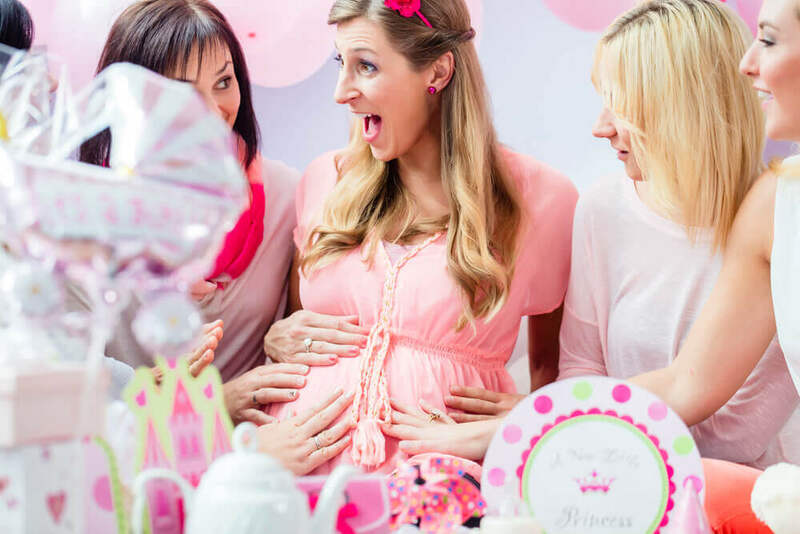 While every baby shower may seem unique in their own way, they all share a common structure. It’s a structure that helps make them fun and memorable. 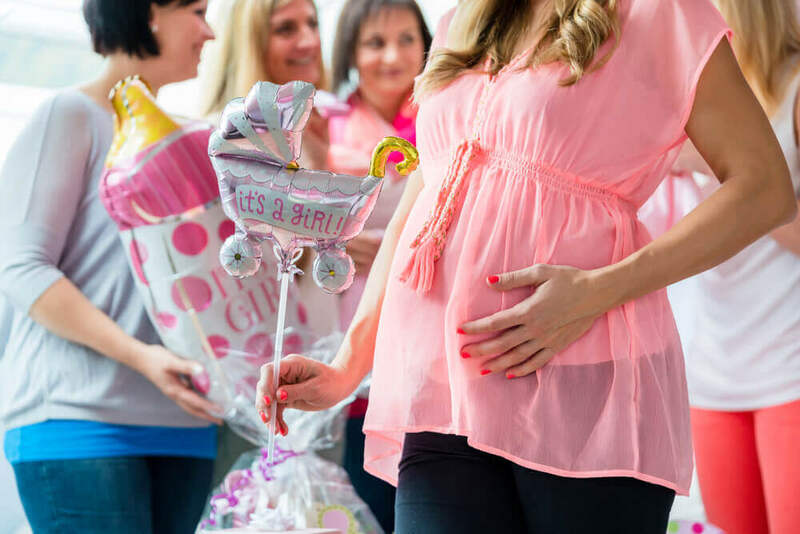 Regardless of the style or budget, every baby shower has following common components. A great event wouldn’t be great if no one was there. So you need to send out invitations! The decorations you buy will depend on the baby shower theme you select. You can choose to go with simple decorative napkins and favors. But you can also spend a little more for elaborate candles, flowers or centerpieces. 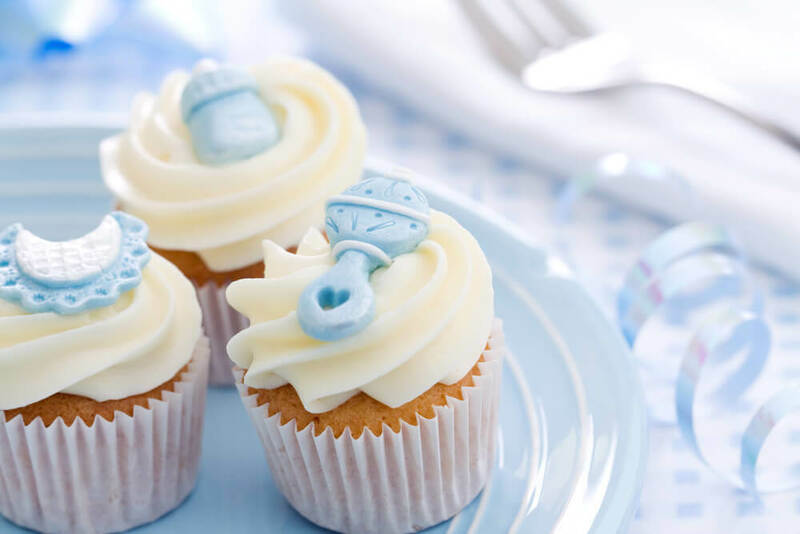 You can serve baby shower cakes, cupcakes, and cookies or a lavish five-course meal. But you need to serve something. We will discuss some of the latest baby shower food ideas later in this guide. Read more below. Baby shower music can add energy to the party. Based on your budget, you can either hire a DJ to play selected songs or you can bring your own music system on the cheap. Baby shower games will help your guests break the ice and interact with each other. There are thousands of baby shower games and ideas. Usually, people pick games that go with their theme. Gift are the responsibility of the guests. As I mentioned, you can register for gifts at your favorite department store. Just make sure that you have an obvious place for people to set them when they arrive. Give your guests a keepsake of the event, so the can remember how awesome your event was! So, I’ve narrowed down everything you need to know into 6 basic steps. With each step, I’ve provided lots of ideas so you can get creative and customize the event to your own taste. So, you have received the great news that a best friend, sister or a colleague is having a baby! Awesome, you now have an important job to do… throw her a baby shower! Should you throw a shower? Who do you do it with? Alone or seek help? Who all do you invite? Should you invite the dad-to-be? Should you include alcoholic beverages? Take notice of all the “should’s” in every question. You need to figure out, what should, you, as baby-shower-thrower, actually do? The tradition of a baby shower demands that a mother or mother in law should NOT host this event. A baby shower is usually thrown by a friend, sister, sister-in-law, aunt, cousin. This would be the host of the shower. The guests of honor include the mom-to-be and her baby-to-be. It is the host’s responsibility to welcome the baby shower guests. You can do so by setting up a welcome station at the venue and handing out beverages to the guests as they come in. Not everyone may know each other. You can help break the ice by gathering the group together and introducing everyone. 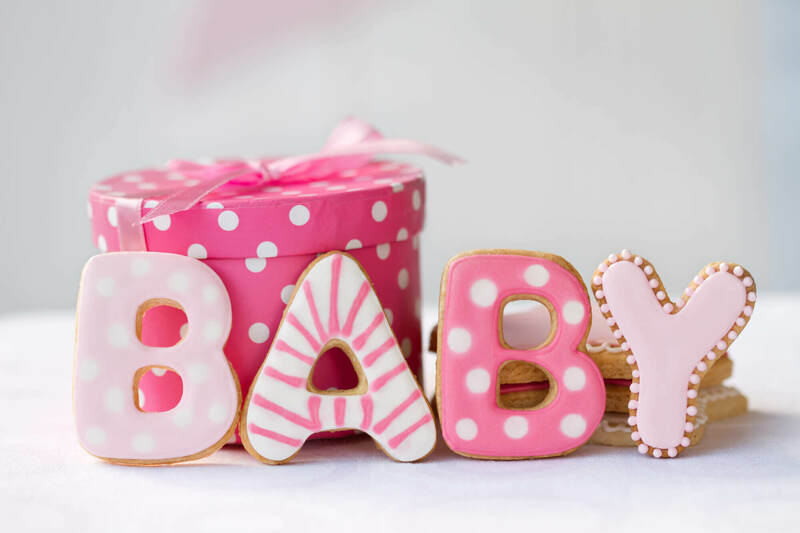 Most baby showers are held 2-3 months before the due date and ideally last for 2-4 hours. Baby showers can be thrown after the baby arrives. But most showers are thrown during the term of the pregnancy (early half or later). The advantage of planning a shower during pregnancy is so the parents can relax and enjoy the celebration. 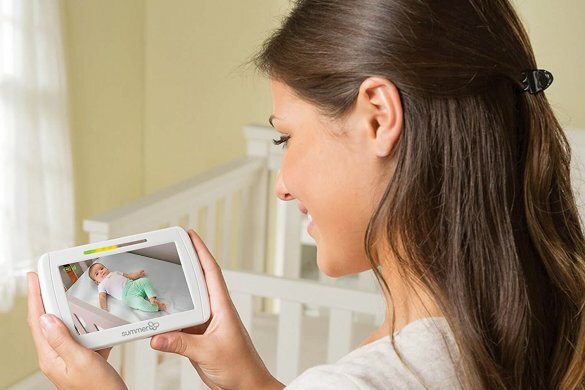 They won’t be distracted by a new baby – diaper changing, feeding, napping. This might be the last time they get to enjoy alone time before the baby fun begins. Some people think having a theme for the baby shower could end up being a hassle, but this could not be more wrong! A themed event gives a sense of excitement and actually gives you a central idea to work on and get creative with. A baby shower without a theme is actually more difficult to organize. There are too many ideas that can throw you off balance and zap your energy. A theme lets you hone in on the decor, food, and games you select. So, yes, it is important to have a baby shower theme. It is a good idea to do some creative thinking when planning the theme. Do something exciting and memorable for the guest of honor. But think of the guests too. 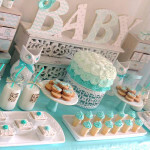 It is even more important to plan a wonderful baby shower with an amazing theme with the guests in mind. Why? Consider the fact that they will be spending a lot of money on your baby shower gifts. Decorate the venue with nautical elements like fish, oyster shells, sea shells around. Food can also conform to this theme with shaped baby shower cakes, cookies etc. This is the most popular theme. Everyone likes plush teddy bears, especially babies. Diapers are the basic need of every newborn. You can decorate a diaper baby shower cake by wrapping it in diapers. Have the cookies or cakes made in the book’s shape. Hang silver/golden stars around the venue, star-shaped cakes etc. 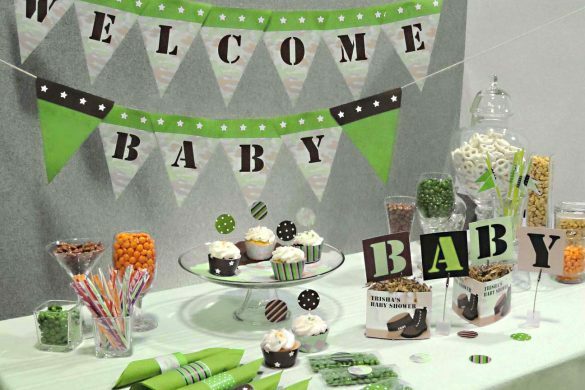 Where to Buy Baby Shower Theme Decorations. Every great event begins with great invitations. 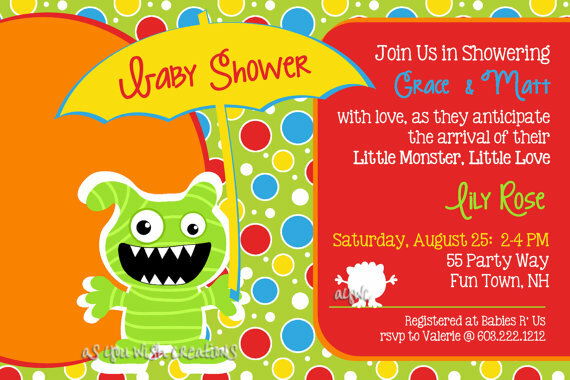 Beautiful baby shower invitations help set the tone and style of the event. Give your guests the information they need to plan, dress, and buy the right gifts. 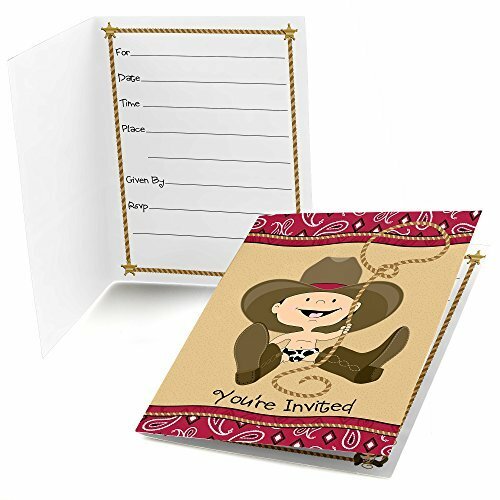 Invitations also get your guests excited about your event. The cheap way, open up Microsoft Word and select some clipart. Write your message. Print 100 times. Done. You could send e-invites. Electronic invitations are great because you can send them out fast and free. You also get an early idea about the average number of attendees. Create an event on Facebook to invite people. Baby shower invitations could be gender specific or neutral. Girl baby shower invites can be pink and brown/black color. Boy baby shower invitations can use different shades of blue, browns, or greens. Also popular are animal baby shower invitations. Baby giraffes, owls, monkeys, lions, and tigers are huge these days. You can even decorate the venue based on these animal themes. 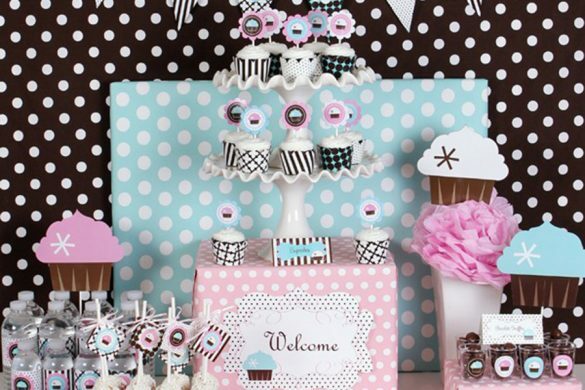 A polka dot mama baby shower invite is another huge trend for this year’s baby shower ideas. Another popular idea is a floral baby shower. It’s a neutral theme and usable for both genders. Add a special trim around the invitation cards. The trim can range from square, bracket, ticket or scallop shaped edges. 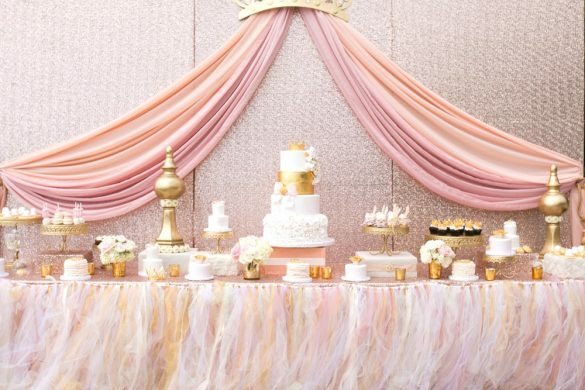 The decorations you choose for the baby shower party will depend on the theme you select. Make sure that everything you buy can you re-used. Most decorations get thrown away after the event, right? What if you can actually use them instead? Bind your napkins with baby pacifier rings, plastic baby keys, or beaded bracelets. At the end of the shower, give these toys to the mom-to-be so she (or the baby) can actually use them. Buy some baby food jars. Then place tea lights on top of them. Afterward, the baby can eat the food in the jars. You can use baby receiving blankets as tablecloths. Or for keepsakes, use plain white cloth and have guests sign it or draw cute pictures on it. During the gift opening ceremony, place a clothesline across the venue. Every time the mom opens a gift containing a blanket, pin it up on the clothesline so everyone can see the new gifts. Get plain fabric squares in different colors and have them decorated or signed by guests. Then have a tailor sew them into a quilt for the baby. Fill empty baby bottles with flowers like baby’s breath and tie them up with pretty ribbons. At the end of the shower, gift them to the mom-to-be. In case the shower is held away from home, you can select a public venue that is already beautiful. It might cost more, but you will save money on baby shower decorations. Make sure you notify the venue about likely date of the shower and number of guests. Ask them about payments they accept, cancellation policies, refunds, and any usage restrictions. A baby shower at home is also a great idea. It allows you a flexible schedule and is more intimate and comfortable. You might have to rearrange furniture to create space. Be sure to set up food and beverage stations, as well as seating and eating areas (indoor or outdoor depending on the weather). How about a destination shower? These days, to add a bit of class to a baby shower, the trend is to have the shower at a unique destination. These unique destinations include wine shops, beaches, tea emporiums, and clothing or baby boutiques. Make sure the venue you select is safe, has clean restrooms, and can be used to store, prepare, or serve the food if needed. 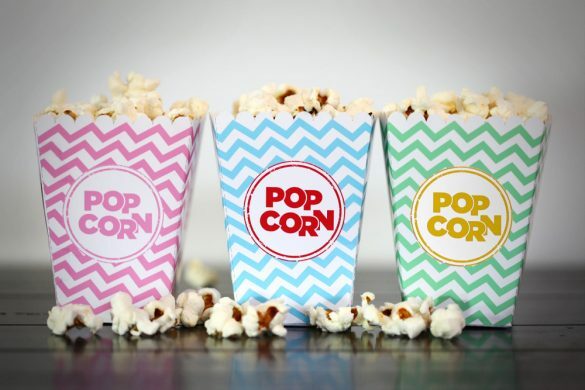 What are the most common baby shower food ideas? Desserts, sandwiches, pasta, cakes, cookies, ice creams, chips, salad, and beverages. Try these 4 baby shower food ideas when planning the menu, your event will be sure to be a success. The food will depend on the time of day you are hosting the baby shower. If the shower is at noon or dinnertime, make sure you have proper sit-down meals (an actual lunch or dinner). Early afternoon or evening showers always do well with salads, appetizers and finger foods. Server lots of different snacking foods, like sandwiches, vegetable dips, rice, or pasta salads. This way, people with allergies or dietary restrictions still have a choice. 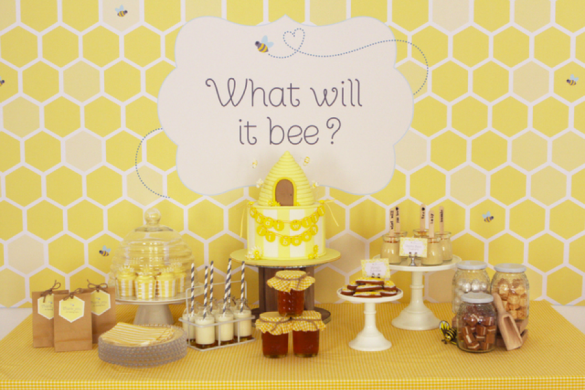 Match the food to your baby shower theme. 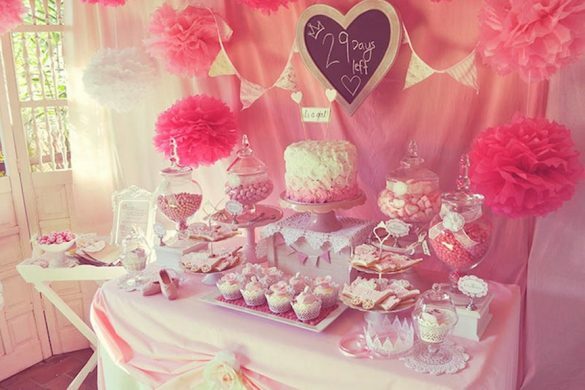 For example, a tea party theme can include sandwiches and scones. A nursery rhyme baby shower theme can include baby shower cakes or pies that resemble famous nursery rhyme characters. Try to be creative when presenting your food. You can carve the fruits in melon bowls or have a baby carriage shaped cake, etc. Baby buggy cakes are popular and trendy this year. Other baby-themed cakes include a baby bib cake, Stork cake, baby bottle cake, pink or blue baby booties, diaper bag cakes, or yellow rubber duckie cakes. Baby shower cakes need not always scream “baby”. You can opt for flower cakes or animal shaped cakes. Or go for a colorful umbrella with jelly beans as raindrops. Lamb cake decorated with marshmallows will elicit squeals of delight from your guests. If men are also invited to the shower, you can honor the to-be-dad with baby shower cake in the form of cigar boxes. Some other popular ideas for baby shower cakes include a Rocking horse cake with vibrant colors, a small bird in nest cupcakes, and peas in pod cupcakes. 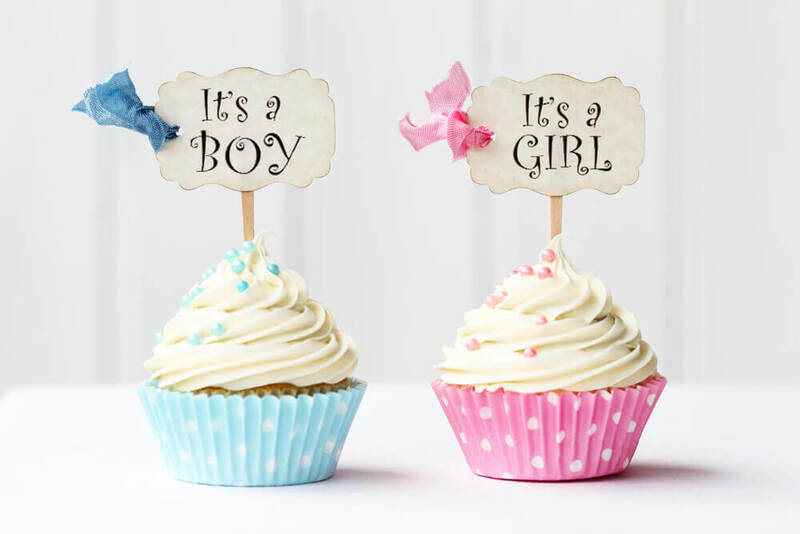 The Gender Guessing Game is ideal if you have not already disclosed whether the baby is a boy or a girl. Cut up pink and blue paper into strips. Hand each guest 2 strips in each color. Have the guest drop in the strip in a box. At the end of the party, count the strips and see what the group guessed. Write down baby related words like diaper, pacifier, baby bottle etc and print them out on Bingo cards. Then write down each word on individual small pieces of paper to pull out of a box. Just like regular Bingo, the guest to fills out their Bingo card five vertically, horizontally or diagonally wins. Give each guest a chopstick to hold in his/her mouth. Ring a pacifier to the end of the chopstick. Guests should now pass the pacifier to each other’s chopstick without touching. You can divide the guests into 2 teams. Winning team is the one that passes the pacifier without dropping it. Pass around some baby items and provide each guest with a note card to price each of those items. Tally up the total for each player. Whoever is closest to the actual total is the winner. Have each guest chug down a baby bottle filled with water, juice or any other beverage (Tequila?). Whoever drinks the beverage the fastest within a set time is the winner. Fill up 5 paper bags with baby items (bib, bottle, diaper etc). Ask your guests to guess what is inside each bag. At the end, reveal what is actually in each bag and the winner is the one with most correct answers. Fill a bowl 3/4 full with dry rice. Put some safety pins in the rice. Blindfold each guest and have him/her remove as many pins as possible from the bowl. The guest with the most pins is the winner. Offer guests some mints or candy as they come into the venue. Then, for each piece they have taken, make them tell that many interesting facts about themselves. This is a perfect icebreaker game. It’s easy to buy baby shower gifts and favors at party stores. But a new mother-to-be is generally happier if the gifts result in something she can use for the baby. Your guests will also appreciate thoughtful gifts and favors. 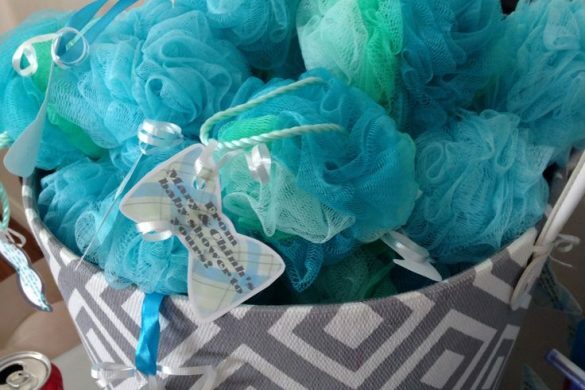 Base your baby shower favors on the chosen theme of the shower. If there is no central theme, buy some inexpensive shower gel, chocolate bars, pocket notebooks to give out as favors. Mini planters with seeds are unique and wonderful keepsakes of the shower. Animal-shaped crackers are popular favors. You can fill small bottles or paper bags with animal crackers. 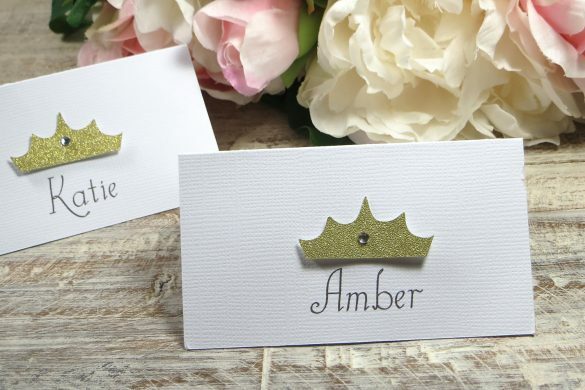 Add a personalized custom card, and your guests will be super happy to take these cuties home. Onesie shaped cookies are great keepsakes. Plus they are gender neutral, whether you are looking for baby shower ideas for boys or girls. Sweet tea kits filled with tea bags, lemon flavor, and sugar cubes are ideal to be brewed into tea. Use empty glass bottles shaped as baby bottles to give away dry goodies like cookies, oatmeal etc. 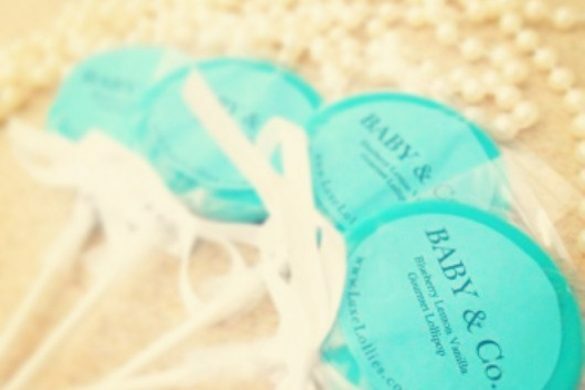 Tiny jars of homemade scrubs can give your guests baby soft skin they desire. Petite bottles of champagne filled with a bubbly drink are exciting favors to take home. After the last baby shower gift has been opened, it is a signal that the party is over. The mom-to-be must thank the hostess and the guests for coming. She and the hostess can together give the baby shower favors to the guests. Soft baby boots designed for comfort can come in blue or pink based on the baby’s gender. Baby bouncers come with many bells and whistles. You can choose from a bouncer that play music or have tiny blinking lights. Others have fun attachments to keep baby entertained. Baby play mats offer endless hours of fun. They are colorful and have dangling toys. They have a soft quilt for the baby to lie back on. They also have wind chimes with soothing musical tones to keep the baby entertained. New babies love spending several hours playing on the mat. A feeding boppy is important for nursing mothers to place the baby on while feeding. Most come in a variety of designs, soft fabrics and standard sizes ideal for all waist sizes. They keep the mother comfortable while feeding. Baby carriers are perfect baby shower gifts ideas. They keep the baby comfortable while traveling from place to place. The parents will use them daily. Help the mom-to-be get some sleep. Pajamas, caps, sleep gowns and other clothing items also make useful gifts. Here’s some more baby shower etiquette. 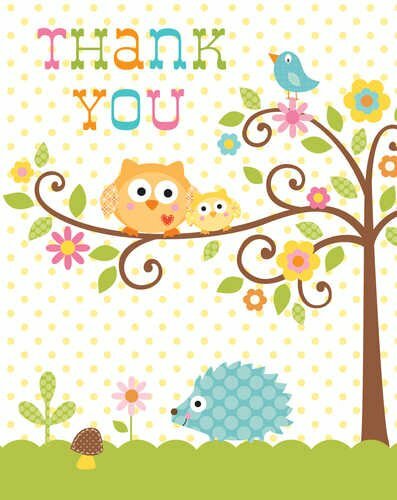 Thank you notes are generally written by the guest of honor/mom-to-be. These can follow the theme and design of your shower. Send them out within 2-3 days of your event. Do plan ahead and make a list of things that you need to do. This will help you save time and unnecessary stress. Don’t surprise the mom-to-be. Let her in on the shower so that the date is convenient for her. Do include the grandmothers-to-be as well. Do not overlook the tiny things: is there enough ice? Are there adequate chairs? Is the camera ready? Do the guests have a map to arrive at the venue? Do delegate- you cannot take on the entire stress of planning the shower all by yourself. Do gauge the mood of the guests instead of being bossy about the planned activities. I hope this planning guide and baby shower ideas help you plan the ultimate baby shower. If this helped you plan your baby shower, let me know. If I left anything out, or if you want to just say Hi, please leave a comment below. Be sure to bookmark or share this page so you can reference it later.